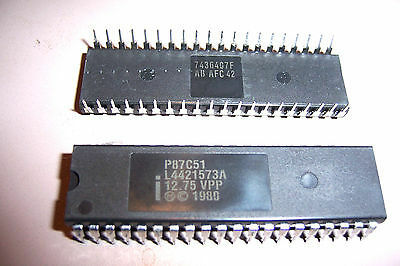 Quad Operational Amplifier in a single 14pin DIP package. 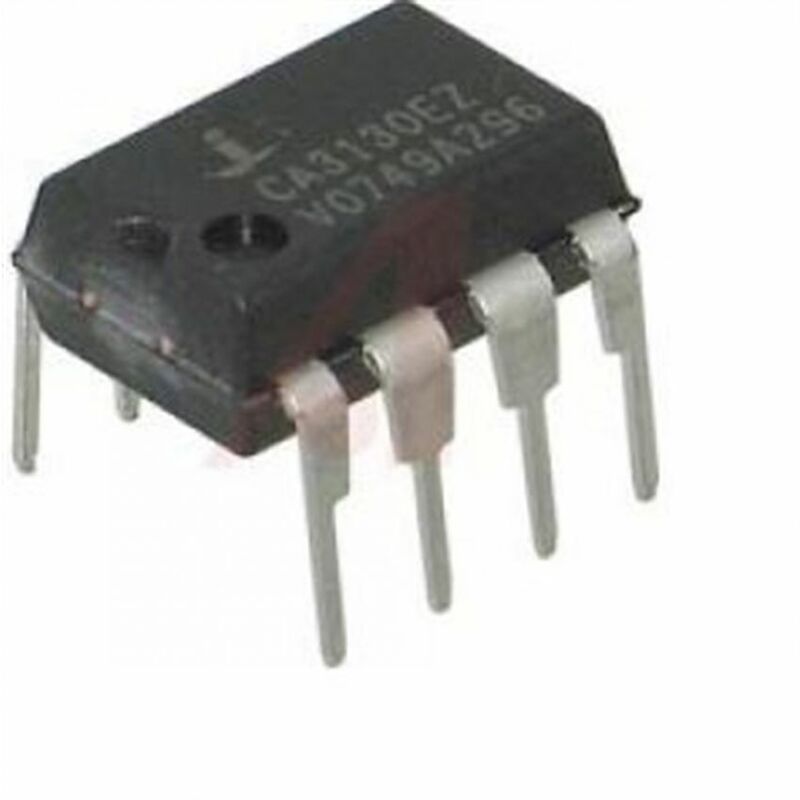 These devices consist of four independent high-gain frequency-compensated operational amplifiers that are designed specifically to operate from a single supply over a wide range of voltages. 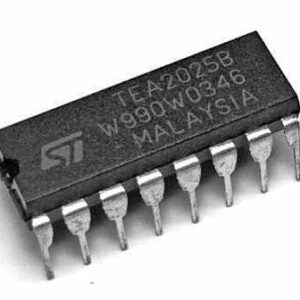 Applications include transducer amplifiers, dc amplification blocks, and all the conventional operational-amplifier circuits that now can be more easily implemented in single-supply-voltage systems. 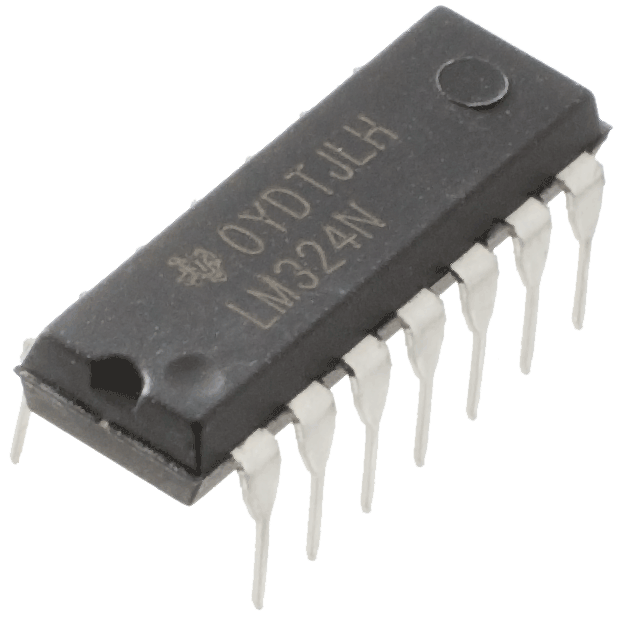 For example, the LM324 can be operated directly from the standard 5-V supply that is used in digital systems and provides the required interface electronics, without requiring additional ±15-V supplies.